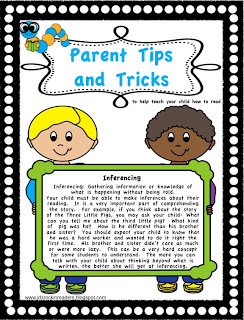 Need something to send home to parents to help them work with their child who is a beginning reader? So far, I have 8 different newsletters. It's nice to break it up into bits and pieces throughout the school year.